So much for Mike Trout joining Bryce Harper in Philadelphia, or going to the Yankees, or some other team backing up the Brinks truck for his services. 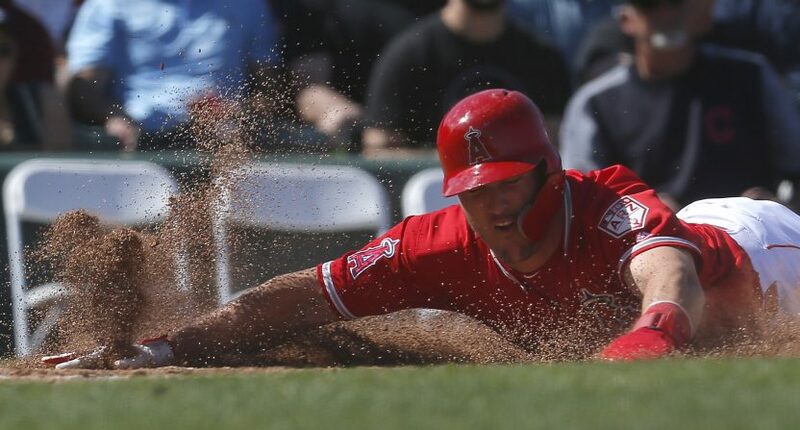 According to Jeff Passan of ESPN, Trout and the Angels are nearing the largest contract in baseball history, a 12-year, $430 million pact that will keep him in Anaheim for the rest of his career. A 12-year deal would be a year shorter than Bryce Harper’s 13 year deal with the Phillies, but would come with an extra $100 million in guaranteed money, usurping Harper’s deal for the largest in sports history and exceeding Zack Greinke’s average annual value of $34.4 million a year and hitting nearly $36 million per season on average. Trout’s current contract with the Angels expires after the 2020 season. The six-year, $144.5 million deal will pay him just over $34 million in each of the next two seasons. The 27-year old Trout has been one of the best players in baseball since he burst onto the scene in 2012, following a brief 40 game stint in the majors in 2011. During his seven full seasons in the majors (and that 2011 cameo), Trout has slashed .307/.416/.573 over 1,065 games with 240 homers and 189 steals. He’s a seven-time MLB All-Star, six-time Silver Slugger Winner, won the 2012 AL Rookie of the Year, won the 2014 and 2016 AL MVP awards, and has finished either first or second in AL MVP voting in six of his seven years in the majors. The lone outlier was 2017, when Trout played in just 114 games and finished an unacceptable fourth. He’s on not just a Hall of Fame track, but also a “greatest player ever” track. The one thing that has eluded him over his career has been Postseason success, with the Angels making the playoffs just once during his career and getting swept by the Royals back in 2014. Paying a player an average of $36 million or so during his 30s is a recipe for disaster, but there is no chance in hell that the Angels could have let Trout walk as a free agent following the 2020 season and been able to look at their fanbase with a straight face. He’s shown no signs of decline during his career so far, and if he continues producing at a similar rate during the first half of his contract, I don’t think the Angels will mind the money they’re paying him in the back end of his contract. Now, about giving him some help in that lineup and keeping the pitching staff healthy…..